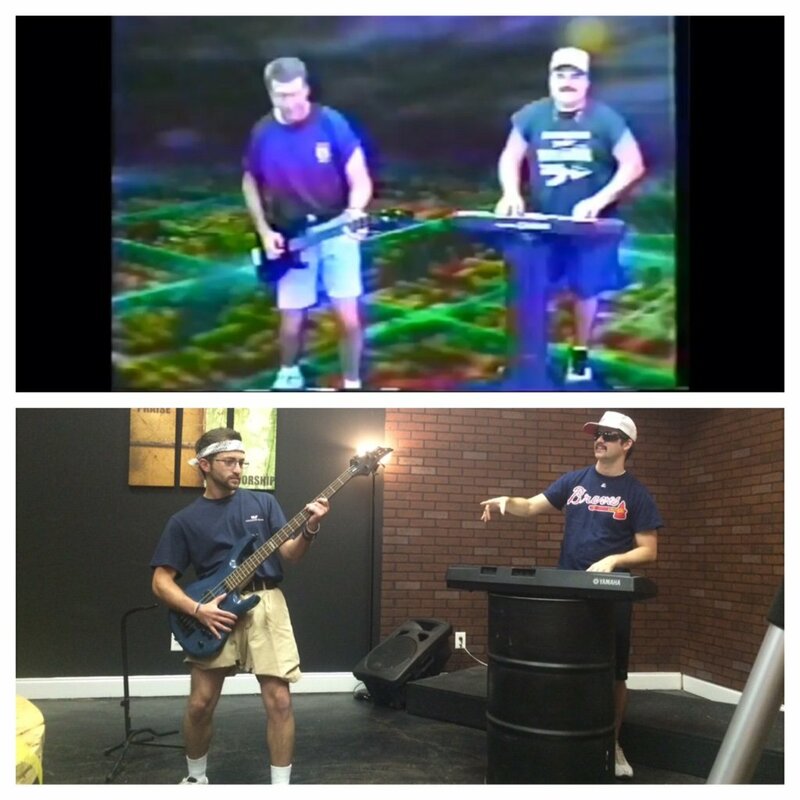 “So we attempted to recreate the Gus Malzahn dance video!” 25-year-old Jake G. Evans tweeted Wednesday morning. Attempted and succeeded. The result is a powerful testament not only to the pop culture hustle of the Gus Malzahn breakdancing video—it already has its own shirts, and TIME called it ‘the essence of the ’90s’—but to how far we’ve all come, technologically. What the Family Malzahn likely spent at least $50 on in 1996—the one I did with Kokomo in 1990 was free but supposedly was going to be at least $100 or something—and probably had to be produced with a closet’s worth of equipment was done Tuesday night with a GoPro camera and Final Cut Pro. Evans, who lives in Hoover and is a GoPro photographer for AuburnUndercover.com, said he and best friend Justin Self “started at 6 p.m. and didn’t get (the video) completely done until 2:30 this morning.” The video was shot at Summit Life Church in Bessemer. The friends got the idea from AuburnUndercover forum thread that promised two free tickets to Auburn’s game Saturday against Texas A&M. There appears to have been only one other submission—”Not many people can learn Gus’s dance playbook as fast as I could, I guess,” Evans says—but it can’t touch theirs. So hey, if you’re in the market for some tickets but are strapped for cash, hit’em up. “If we win we will give the two tickets… to a person who can’t afford to go to games,” Evans says. Related: VIDEO: Cameron Artis-Payne jokes only defense can give Gus Malzahn hard time about breakdancing video.